“Fermentation scientists often have to perform time-consuming sampling to monitor growth and initiate process control based on offline data. 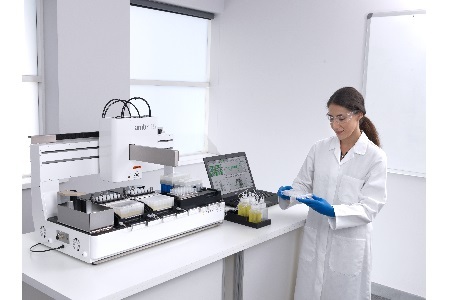 Sample preparation and manual data handling can not only introduce variability and errors, but it may also necessitate samples being taken at unsociable hours or over weekends,” explained Alison Rees-Manley, ambr® 15 Product Manager at Sartorius Stedim Biotech. “By integrating innovative biomass monitoring technology into our ambr® systems for microbial applications, we enable real-time growth data to be used for more advanced process control. We’re confident that these ambr® systems will help scientists by Press Release reducing the burden of offline sampling and providing better process understanding and greater control of microbial cultures. This will result in more accurate and predictive data for costefficient protein production,” she added. Sartorius Stedim Biotech is a leading international partner of the biopharmaceutical industry. As a total solutions provider, the company helps its customers to manufacture biotech medications safely, rapidly and economically. Headquartered in Aubagne, France, Sartorius Stedim Biotech is quoted on the Eurolist of Euronext Paris. With its own manufacturing and R&D sites in Europe, North America and Asia and an international network of sales companies, Sartorius Stedim Biotech has a global reach. The Group has been annually growing by double digits on average and has been regularly expanding its portfolio by acquisitions of complementary technologies. In 2018, the company employed approx. 5,600 people, and earned sales revenue of €1,212.2M.